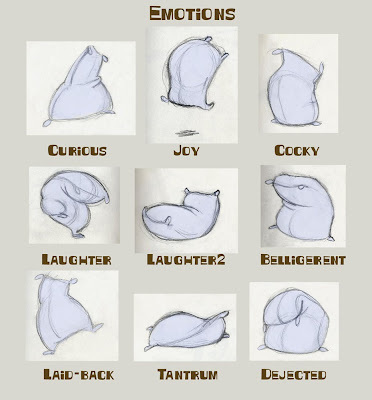 For the last couple of weeks I've been helping the Level 2 animation students in Dundee with their Flour Sack Exercise. Here are some drawings I made in the process. Some of the poses are mine, and some are from the Illusion of Life and other sources. Here are some quick thumbnail sketches I made, with rough inbetween charts, to demonstrate how a basic jump could be approached. Sharon White, the Animation Module Leader, and I were very impressed by the standard of animations this year. Well done everyone! Thank you for this Brendan! I love your work! Let's keep contact. Thank you for this! 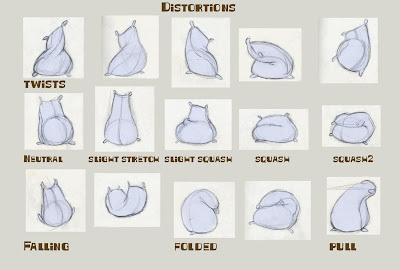 I'm working on my first bean bag animation for my Animation 1 class, and this is very helpful!! Thanks for posting these. I'm showing them to my animation class as excellent examples of weight and volume.